Try it today. It is 100% FREE. 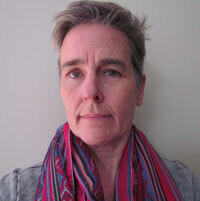 "At the beginning I used the Daily Mood tracker because it really helped me to get a sense of how I am doing on a daily basis and not feel overwhelmed. Then, I started to use the Routine Builder. I like the way I can put in a routine that I want to create, it reminds me and I can keep track of how well I am doing keeping up with my routine through the history graphic. My Storylines which summarizes all of my inputs would be valuable to take to my doctor as it is concise enough to make sense of things." 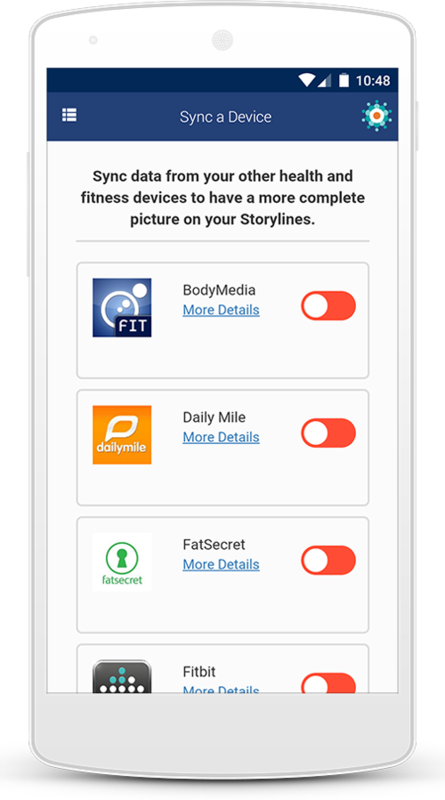 Choose what you want to track to build your own “My Storylines”. Learn more about managing your health, and share more with your care team so they know how you’ve been doing between visits. 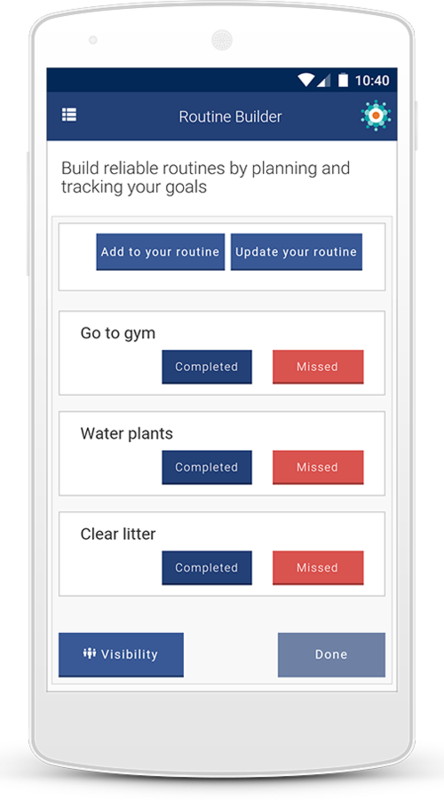 Build your own routines, get reminders and track your weekly progress. 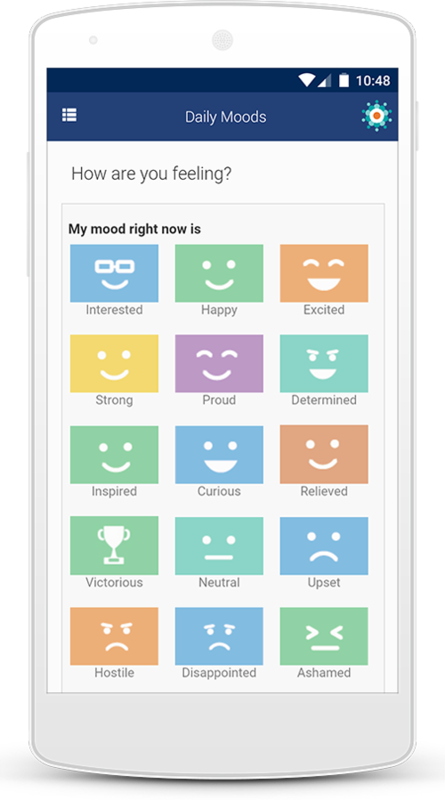 Keep track of your emotions and what might be causing them, to help you understand the impact of daily events or the effects of medications on your mood. 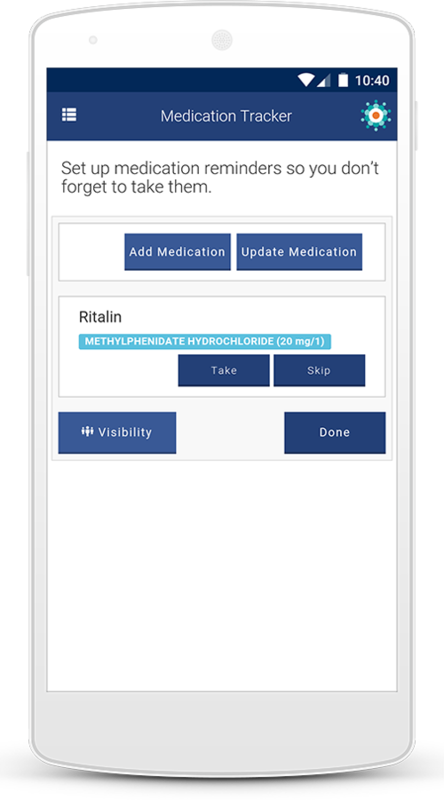 Keep your mind at ease by receiving reliable reminders for taking your medications on your mobile device. Connect your other health and fitness devices like Fitbit and Jawbone. 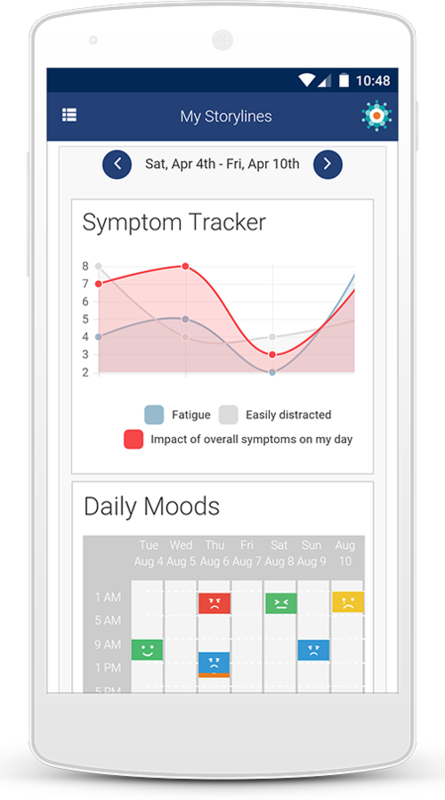 Track your symptoms and any changes in severity. Monitor your vital signs to manage medical issues. Inspirational quotes for your mind and spirit. Write down your thoughts and capture life moments. Document your completion of important tasks. Access other tools to help you manage your health. Share your health story with your peers. 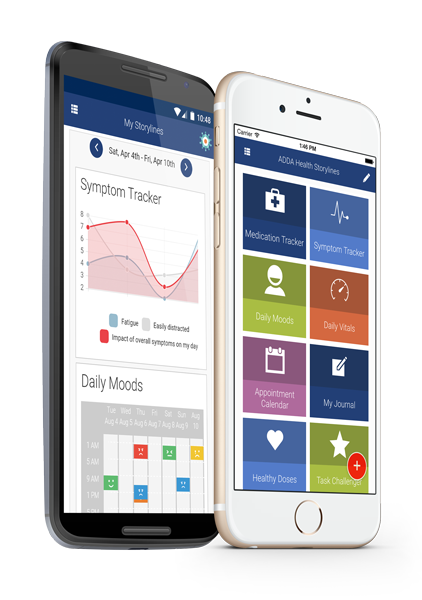 ADDA Health Storylines is developed in partnership with the Attention Deficit Disorder Association, and is powered by the Health Storylines™ platform from Self Care Catalysts Inc.